Mother’s chapattis were the first and the best chapattis we ever relished. The chapattis which she prepared with her newly acquired skill looked like full moons with their unblemished perfect round shapes and silky smooth texture. 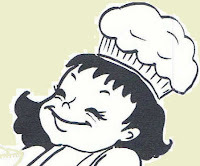 She cooked the flour in boiling water, and kneaded and boxed it while still warm. She pinched out lemon sized balls from the dough and rolled them out into thin chapattis of six inch diameter. We the children sat around with the round lids of steel boxes with which we cut out the perfect rounds. We were engrossed in chewing the left over ribbon like strands of dough as we cut the circles and left behind only a very small quantity which took the shape of one or two more thick chapattis in the end. Mother never used the gas flame. (That was the first time we bought a gas stove!) 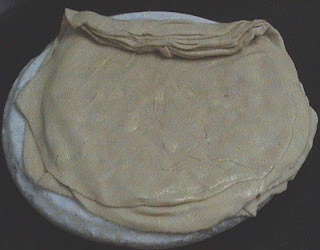 to make the chapattis puff up though she used it to heat the tava to do the initial cooking. She had a ‘choolha’ with burning embers on which she dumped the half done chapattis for a moment. And Lo! How they puffed up without a scar or blemish! We could devour at least half a dozen of them with pickles, dal, sambar, rasam, jam, curd or anything that was available. My children love chapattis and their best ever relished chapattis were really named as “Reshmae (Silk) Parotas”. As we were always after good food we often visited various restaurants in Bangalore. The choicest among them was a place called “Avishkar” which has now succumbed to the monsters called ‘Development’ and ‘Real estate’. We loved the hot, crisp and luscious ‘Reshmae Parotas’ - multi layered chapattis- which we relished with green peas masala. Even now I try to make it at home with wheat flour, which turns out good enough, though it can never beat the original ‘Reshmae Parotas’ of Avishkar. 1. Add warm water, salt and a spoon of oil to the wheat flour and make a soft dough. 2. Cover the dough and leave it aside. 3. Mix the ghee and the rice flour and beat it with a spoon until it becomes fluffy. This is called ‘Saati’ (don’t know in which language!!). Add more ghee if necessary so that it is t enough to be spread on the parota. 4. Make lemon size balls out of the dough and keep aside. 5. 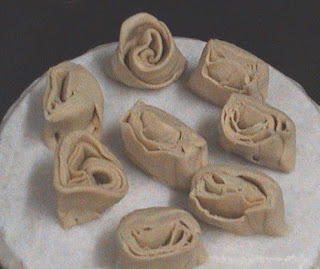 Roll them one by one into very thin chapattis. 6. Spread a spoon of ‘Saati” all over on a chapatti and place another chapatti on it. 7. 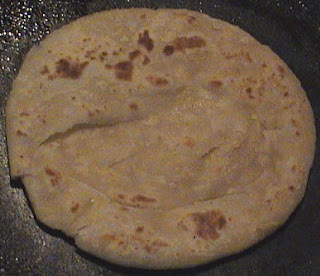 Spread “Saati” on the second chapati and place the third one on top and repeat the process. 8. When you finish with all the chapaties apply the remaining “Satti” all over the last chapatti. 9. Roll the layers tightly together as you would do with a mat. 10. Cut them across into thick rings resembling jam rolls. 11. 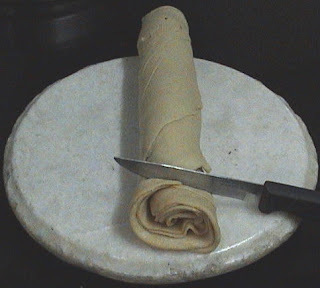 Flatten one ring with the cut section up into a moderately thick parota. 12. Heat a greased tava and cook the parota on both sides till golden in colour, with a liberal dribble of oil on both sides. Relish the crisp and hot Reshmae parota with any side dish of your choice. 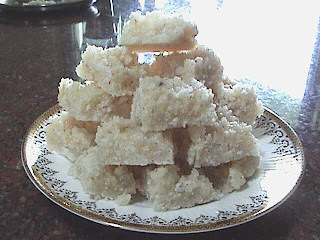 Jevvarisi or Sago (Sabbakki / Sabudana) was our first solid baby food in the days when cereal food tins for babies were still a long way off in the market. Mother roasted the sago and ground it to a smooth flour and stored it for her babies. Two or three table spoons of this flour was cooked in water to a gruel (koozh) like consistency. Though I don’t remember my ‘jevvarisi koozh’ days, I cannot forget the way my younger siblings relished the koozh, sometimes with milk and sugar, and other times with mashed lentil and thin rasam. The way they chuckled with the koozh smeared all over, when mother turned away her face in mock fright to avoid their koozh filled kisses! This still remains a happy picture etched in my mind. 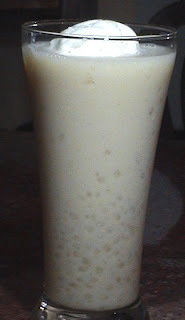 Jevvarisi payasam has been an all time favourite among the children in our family. 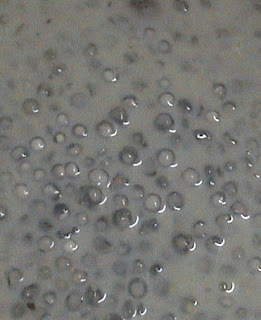 The Sago or tapioca pearls look like transparent glass beads when cooked, and tastes heavenly in the creamy milk and sugar payasam, thus earning its pet name “Mani Payasam” (bead payasam). 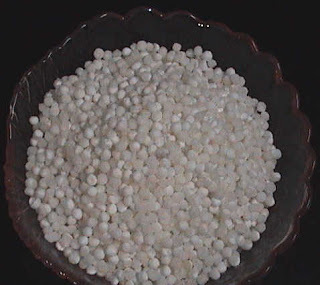 Sago, a product derived from the tuber tapioca is full of starch. It is also said to be a good coolant. The addition of milk and sugar makes this heat buster and energizer into a refreshing drink on hot sweltery days. 1. Heat ghee in a heavy bottomed pan and roast sago until all the pearls pop up. 2. 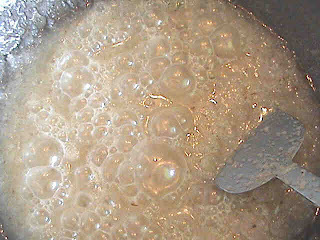 Boil milk with one cup of water and add the roasted sago. 3. Cook on low flame stirring now and then until all the pearls become transparent like glass beads. 4. Add sugar and cook till it blends well. 5. Add cardamom powder and roasted cashew nuts and raisins. This Mani Payasam can be served warm. If you want to covert this to a cool and exotic dessert add a drop of vanilla essence instead of cardamom powder and chill it. Raisins and cashew nuts are optional. Serve the chilled payasam in tall glasses topped with a scoop of vanilla or kesar pista ice cream. This name brings back memories of the numerous “potti kadais” (“Box shops” when literally translated, to denote their tiny size! ), selling betel leaves, scented nuts, ‘goli’ sodas, tobacco, snuff, beedies and cigarettes, which dotted every corner of our ancient city not so long ago. Ripe Nanjangood Rasa Bales - a special sweet variety of bananas, were hung in bunches from the ceiling of the ‘shops’. These shops were mere wooden boxes which sat conveniently on any and every corner of the compound walls which ran along the busy city streets. A garland of newspapers and magazines were strung across the 10’ x 10’ ‘shop’. The ‘bennae’ biscuits ( butter biscuits), ‘karada kadale’ (spiced up ground nuts), kodu balae (a crispy savory dough ring), lemon peppermints, the mint candies with zebra stripes , the mini sized ‘kadlekai undaes’ (a sweet made of ground nuts and jaggery ), and the ever adorable kobri mithayees were all lined up in shiny glass jars in the front row of the shop attracting school children who passed by. 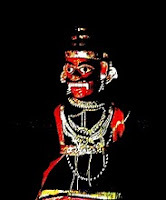 Kobri mithayee has been the favourite among school children through many generations. The school where my children studied had a ‘tuck shop’ where they sold goodies to the children during tea breaks. My children often pestered me for two rupees before going to school, just to buy their favourite ‘tuck’. I wondered what this 'tuck' was all about until finally I found out that it was nothing but our old kobri mithayee in a new caramelized form. Mother prepared the best of kobri mithayees , which looked like snow white crystals ,soft and chewy at the same time .We hung around while the sweet was being prepared enjoying the aroma to our heart’s content. The moment they were cut, the hot sweet squares melted into our eager mouths and disappeared without a trace. Somehow, I never got the same texture when I tried to prepare kobri mithayee. A friend of mine gave me a fool proof method to prepare this sweet. Though it can never match mother’s preparation, I think I have managed to get a satisfactory mithayee. Requirements are 1 coconut, 1 tumbler milk and 2 tumblers of sugar. 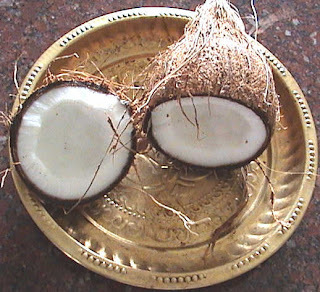 When I measured the gratings of one moderate sized coconut it measured up to 1.5 tumblers. The measures are given accordingly below. 1. Mix all the ingredients in a thick vessel and place it on flame. 2. Keep stirring till the sugar starts to melt. 3. Decrease flame to low, and go about your other chores. 4. Stir the liquid mass now and then. 5. When the whole mass thickens, it will gather into a big ball while stirring. 6. Pour this into a greased plate and flatten with a spatula. Store in a dry air tight jar, if anything is remaining after relishing your kobri mithayee!